The automaker is still feeling the financial pain of its faulty ignition fiasco, adding another $1.3 bln of charges in the second quarter. But car sales are holding up well, with incentives low. That’s good news for CEO Mary Barra and gives her breathing room to fix GM’s culture. A GM sign is seen outside the Medved General Motors car dealership in Arvada, Colorado August 12, 2010. Demand for corporate credit-linked notes (CLNs), which waned considerably following the credit crisis, is on the rise again in the United States and Canada as participants seek out cash alternatives to credit default swaps. CLNs tied to the performance of General Motors, in particular, were cited this week by market participants as an area of interest for investors. General Motors’ second-quarter profit narrowly missed analyst expectations on July 24, as recall-related costs weighed on the automaker’s performance. 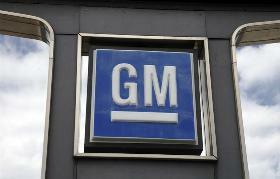 GM reported earnings of 11 cents per share, including 47 cents per share of recall-related special charges. Excluding those one-time items, adjusted earnings per share of 58 cents were just short of the Wall Street consensus figure of $0.59 tracked by Thomson Reuters I/B/E/S. Earnings before interest and tax of $1.4 billion included $1.2 billion of previously disclosed recall-related expenses that were not treated as special items in the period. The special charges included $400 million to compensate victims of faulty cars and $874 million to cover future recalls of GM’s existing car fleet. The automaker said the compensation fund could grow by another $200 million. It also said it would start setting aside money when new cars are sold to cover potential future recalls. GM’s shares fell 3.3 percent in early trading.